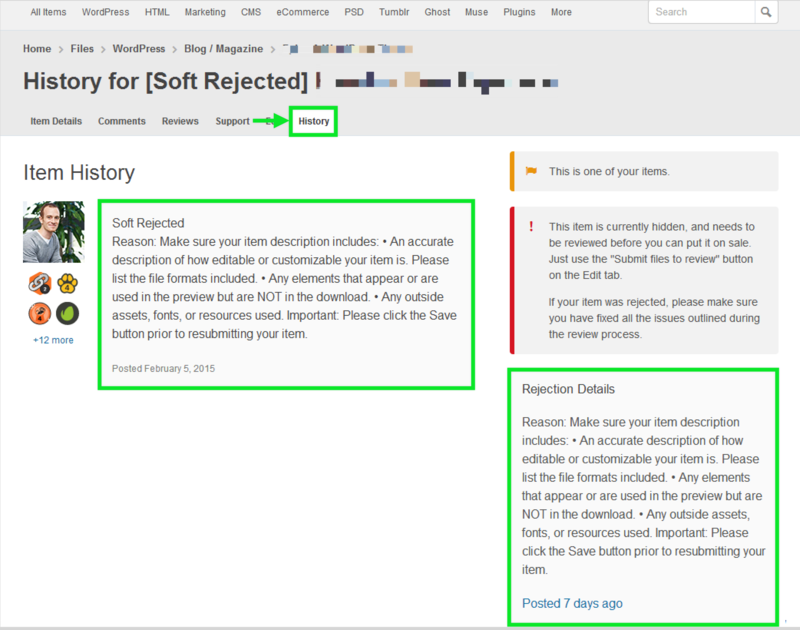 How Will I Know If My Item Is Soft Or Hard Rejected? Envato strives to have only items of the highest quality available on Envato Market. Items are evaluated and assessed during the approval process by quality standards, which are set at the discretion of the Quality Team. For more detailed information on quality standards for each of the Marketplaces, browse the Content Requirements section of the Author Help Center. With this in mind, unfortunately not every item that’s submitted to Envato Market can be approved for sale. If your submission doesn’t meet our Content Requirements and standards it will either be Soft Rejected or Hard Rejected. 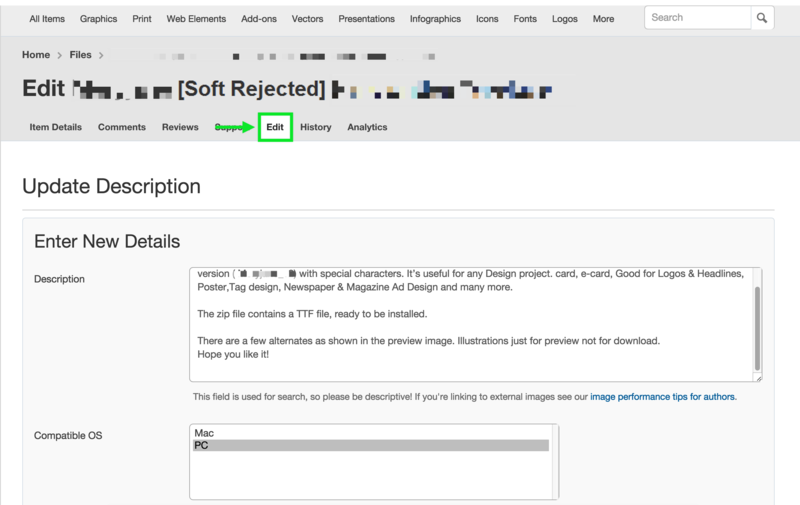 If an item is currently unsuitable for sale on Envato Market, it will either be Soft Rejected or Hard Rejected. What is a Soft Rejection? When an item is Soft Rejected it means that our Quality Team have assessed that the item is almost ready to go up for sale on Envato Market, however the item still needs a couple of small changes before it can be accepted. The required changes will be listed by your reviewer in the Soft Rejection notice and can be found via your Author Dashboard or the Soft Rejection email from the Quality Team. An item may be Hard Rejected for a variety of reasons: Common Rejection Reasons for all Marketplaces - eg. it means that the review team have determined the item is not suitable for sale on Envato Market. Hard Rejected submissions cannot be re-submitted. Regrettably, our Quality and Help Teams are also unable to provide feedback or critique submissions that have been Hard Rejected. 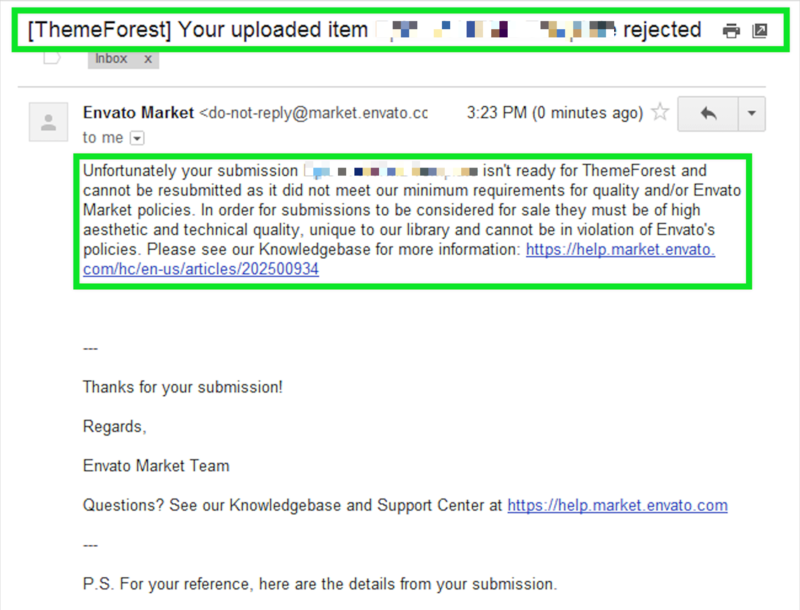 For further information please read common rejection reasons across all of Envato Market. View the status of your submission via the email sent to you by the Quality Team. 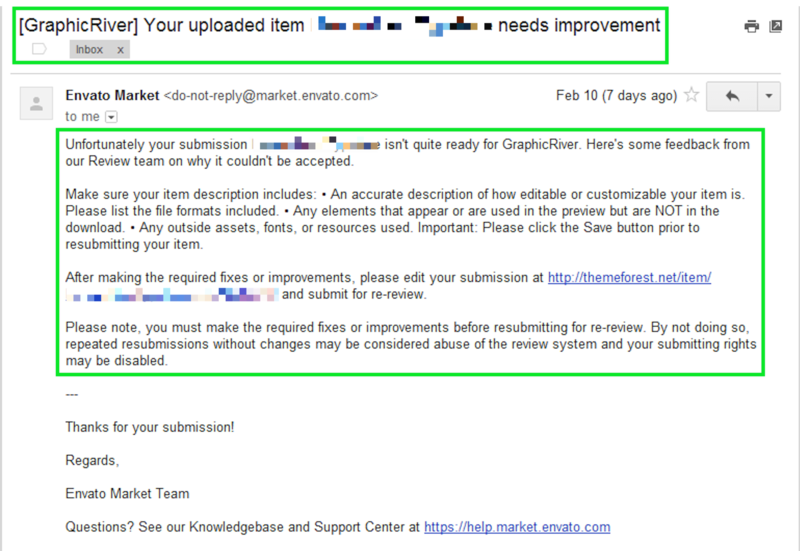 Unfortunately, our Quality and Help Teams are not able to provide feedback/critique or advice for Hard Rejected items. To receive community feedback, please visit our forums. If your item has been Hard Rejected, you cannot re-submit the item. Attempting to resubmit your rejected item(s) is considered an unacceptable use of Envato Market and may result in revoked upload rights. You must create a brand new item and ensure it is entirely distinguishable from your rejected item. Yes. However, please re-submit your files, only after making the changes/updates required (as outlined in the email or comments in the Author Dashboard). From the Author Dashboard, click the 'Hidden Items' tab.